NOTICE: This event is now Fully Booked! We are no longer taking registrations. Hippety Hoppety! Guess who’s dropping by the farm in April! 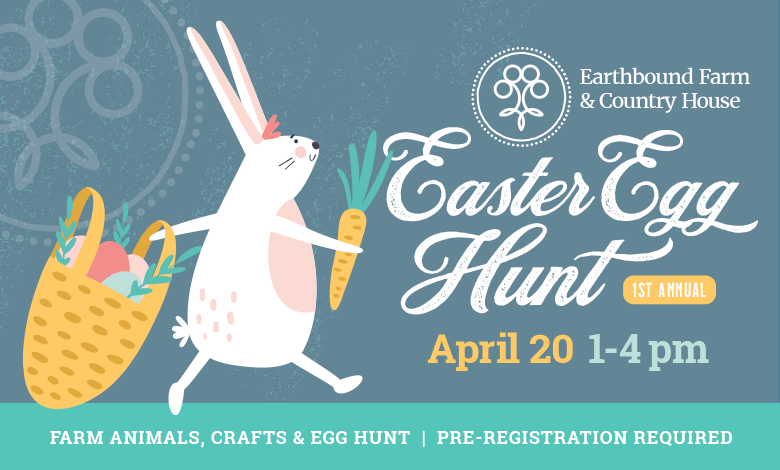 Join us at Earthbound Farm & Country House for our 1st Annual Easter Egg Hunt! Visit the farm animals, decorate eggs and participate in a fun chocolate egg hunt. This is a FREE event; but donations will be accepted for the We Believe in Abby campaign. Pre-registration is required. WE ARE NOW FULLY BOOKED!